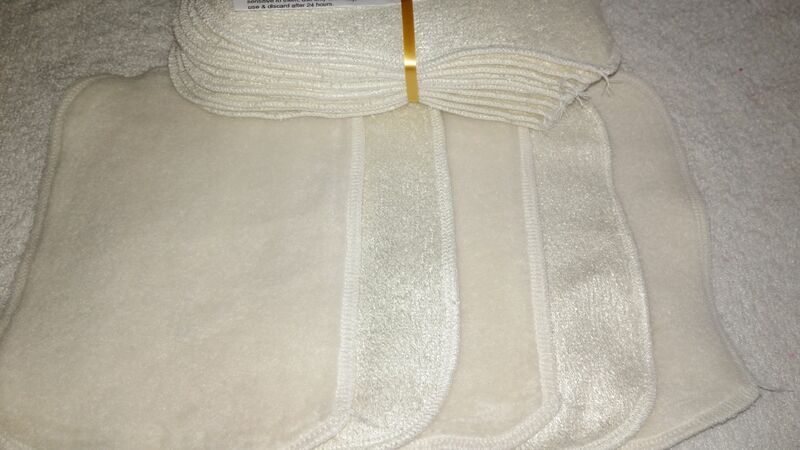 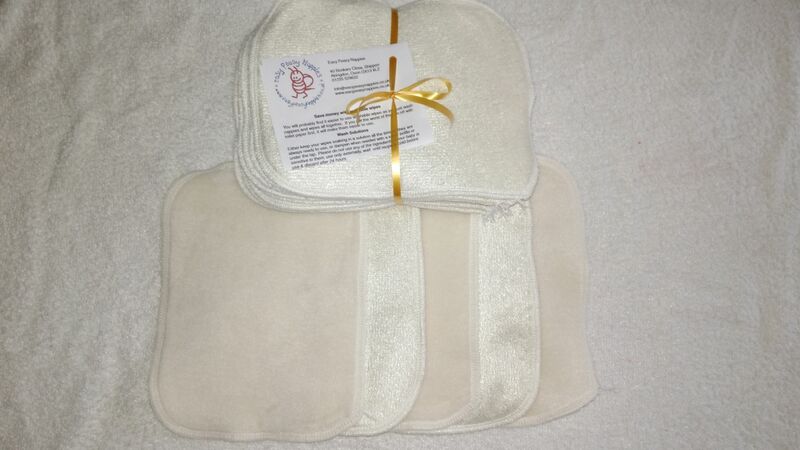 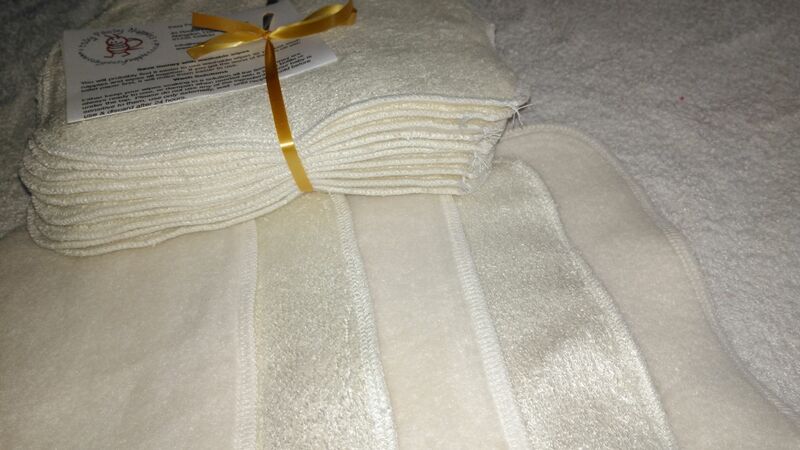 Here we have a pack of 10 fleece and bamboo towelling wipes. 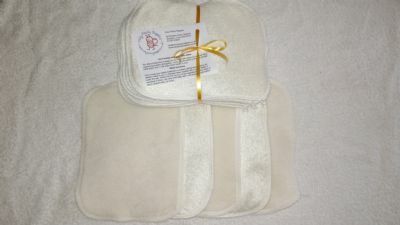 They are made from one layer of soft bamboo backed with soft fleece. 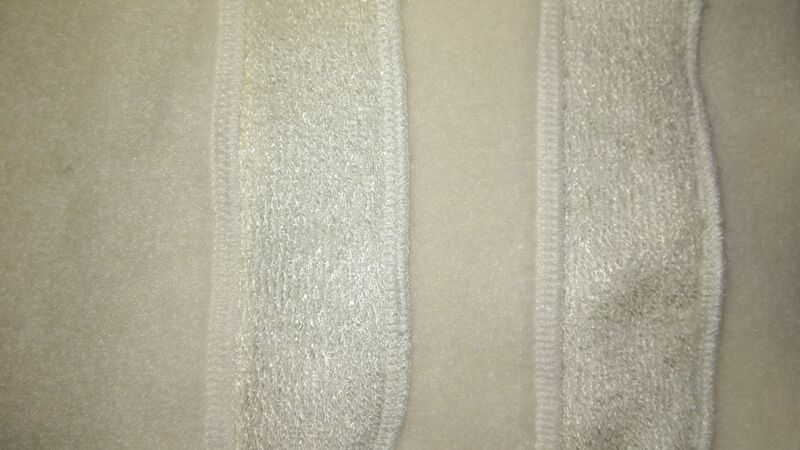 The bamboo side allows you to rub of any mess and then wipe over after with the lovely soft fleece side.